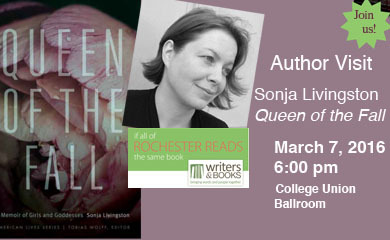 Milne Library and the Geneseo Literary Forum are proud to support the 2016 “If All of Rochester Reads the Same Book…” Queen of the Fall: A Memoir of Girls & Goddesses by Sonja Livingston. Livingston will be in Geneseo on Monday, March 7th at 6pm in the College Union Ballroom. Ms. Livingston will read from her work and sign books after the presentation. 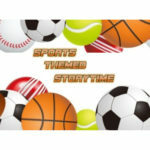 The author will also visit various classes throughout the day. Join us for an engaging reading and refreshments! In addition, Milne Library & TLC are hosting a book discussion which will take place on Tuesday, March 1st from 4-5:30pm in Milne 208. Coffee, tea, and snacks will be provided. To participate, simply follow the link and sign up. Once you’ve submitted your registration, stop into Milne 214 (Director’s office) to pick up your copy of the book. Please contact Chris Shute at (585) 245-5591 if you have questions. 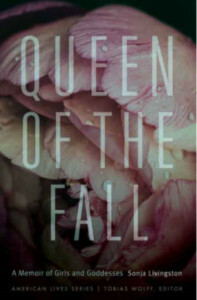 About the book: Whether pulled from the folds of memory, channeled through the icons of Greek mythology and Roman Catholicism, or filtered through the lens of pop culture, Sonja Livingston’s Queen of the Fall: A Memoir of Girls & Goddesses considers the lives of women. Exploring the legacies of those she has crossed paths with in life and in the larger culture, Livingston weaves together strands of memory with richly imagined vignettes to explore becoming a woman in late 1980s and early 1990s America. Along the way, the award-winning memoirist brings us face-to-face with herself as an inner-city girl—trying to imagine a horizon beyond poverty, fearful of her fertility and the limiting arc of teenage pregnancy. Livingston looks at the lives of those she’s known: friends who’ve gotten themselves into “trouble,” girls who tell their school counselor small lies out of necessity and pain and a mother whose fruitfulness seems, at times, biblical. 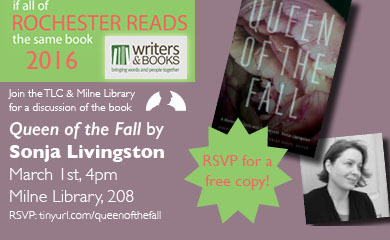 Livingston interacts with icons such as Susan B. Anthony, the Virgin Mary, and Ally McBeal to mine the terrain of her own femininity, fertility, and longing.Queen of the Fall is a dazzling meditation on loss, possibility, and, ultimately, what it means to be human. About the Author: Sonja Livingston’s first book, the memoir Ghostbread, won an AWP Book Prize for Nonfiction and has been adopted for use by classrooms around the nation. Her writing has been honored with a NYFA Fellowship, an Iowa Review Award, and an Arts & Letters Essay Prize, as well as grants from Vermont Studio Center and the Deming Fund for Women. Her work has appeared in many literary journals including the Iowa Review, Alaska Quarterly Review, Southeast Review, Brevity, and AGNI online, and is anthologized in several texts on writing, including Short Takes, The Truth of the Matter, The Curious Writer, and Brief Encounters. 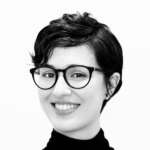 An assistant professor in the MFA Program at the University of Memphis, Sonja is married to the artist Jim Mott and divides her time between Tennessee and New York State. The English Department and Milne Library are proud to host a reading by Eugene Stelzig, a Distinguished Teaching Professor of English at SUNY Geneseo. 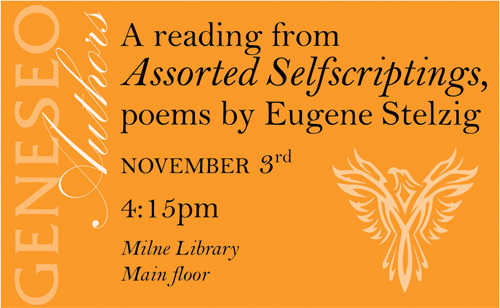 Stelzig will be reading from his new poetry collection, Assorted Selfscriptings, next Tuesday, November 3rd, at 4:15pm in Milne Library. 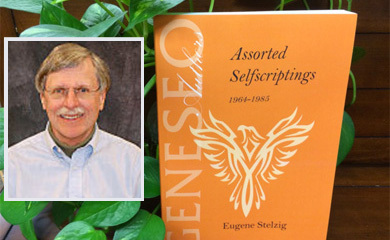 Throughout his academic career, Stelzig has been a lifelong poet. This volume, also published by Milne Library, spans two decades of reflective writing, chronicling the poet’s journeys and observations from Cambridge Massachusetts, to Cambridge University in the UK, to country life in Western New York. Other publications by Milne Library most recently have included a 2nd edition of Christopher Leary’s A Friendly Introduction to Mathematical Logic. 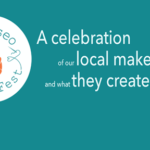 Milne Library will also be hosting a celebration of Geneseo faculty, student and staff authors to highlight and celebrate all publications from the past year. The Geneseo Author’s celebration will take place in Milne 213 at 4pm on Wednesday, November 18. Faculty, students, and staff are encouraged to share news of any article or book published in the last 12 months, scholarly or not, as well as major digital projects–email Sue Ann Brainard at [email protected] or contact any of the librarians at Milne with citation information to contribute to the impressive list of Geneseo publications. His short story ”The Most Important Thing in the World” will be published in the science fiction anthology, The Time Traveler’s Almanac in December 2013. 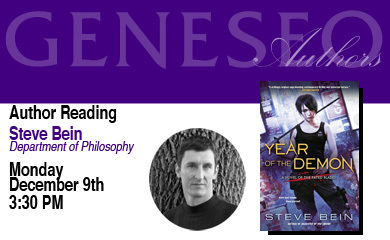 Milne Library is proud to host Steve Bein, who will read from his most recent novel, talk about his writing process and answer audience questions. Join us on Monday, December 9th at 3:30pm on Milne Library’s main floor, just outside the Digital Media Lab. Milne Library is proud to host Philip and Patrick Freivald, who will speak about their most recent novel, talk about the writing process and answer audience questions. Anyone can write a novel. Think of a story, put the words on paper, and voila: you’re done. Writing a novel for publication and sale has many more aspects, and you’re probably doing all of them wrong. 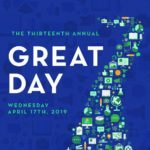 Come hear authors Patrick and Philip Freivald discuss the difference between good work, great work, and publishable work, and why you need people who will tell you that your darling little baby, the love of your life, is hideous. 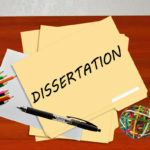 So you’ve written a novel, and it’s good. 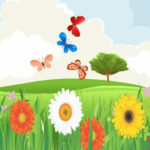 In fact, it’s great. It’s so great that you think people will give you money to read it. You may well be right, but how do you know? Authors Patrick and Philip Freivald share their story of getting published in the ever-shifting world of literature. Patrick Freivald is a high school teacher of Physics, Robotics, and American Sign Language, a beekeeper, a FIRST robotics coach, and an author. He lives in Western New York with his wife, various dogs, cats, and birds, and a few million stinging insects. His high-school zombie story Twice Shy and the sequel Special Dead are available online where books are sold. Philip Freivald is a risk management analyst for a major payroll company, the lead-singer in a 90s rock band, and an author. He lives near Rochester, NY and is currently a SUNY Geneseo sophomore studying business administration. 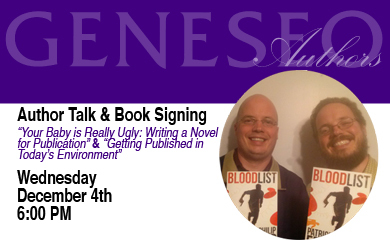 Their collaborative book, Blood List, was released on November 15th. It is a story of a serial killer who is trying to save his father’s life. 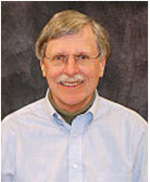 Carlo Filice, Author, Professor and Chair of Philosophy at SUNY Geneseo. Please join us for a special Author’s Reading Event @Milne Library. 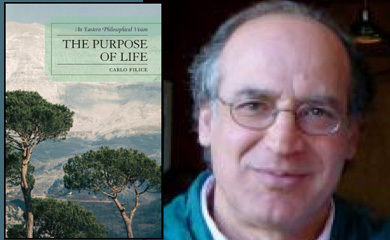 Dr. Carlo Filice, Professor and Chair of Philosophy, will read selections from his recent publication, The Purpose of Life. Read it ahead of time, or come and learn what it’s all about. Come and engage in a conversation; he will answer your questions, too! For more information, contact Tracy Paradis, [email protected].